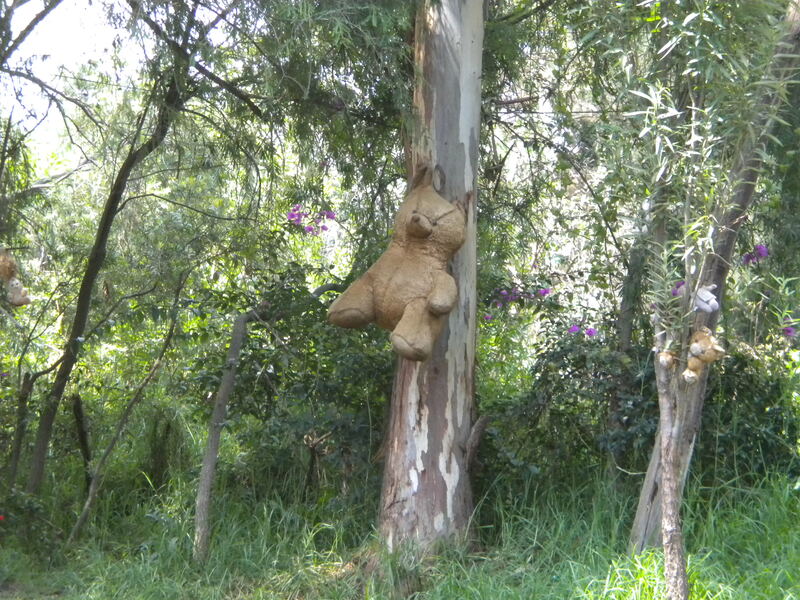 After our ride along the canals in Xochimilco my family and I got an extra treat. 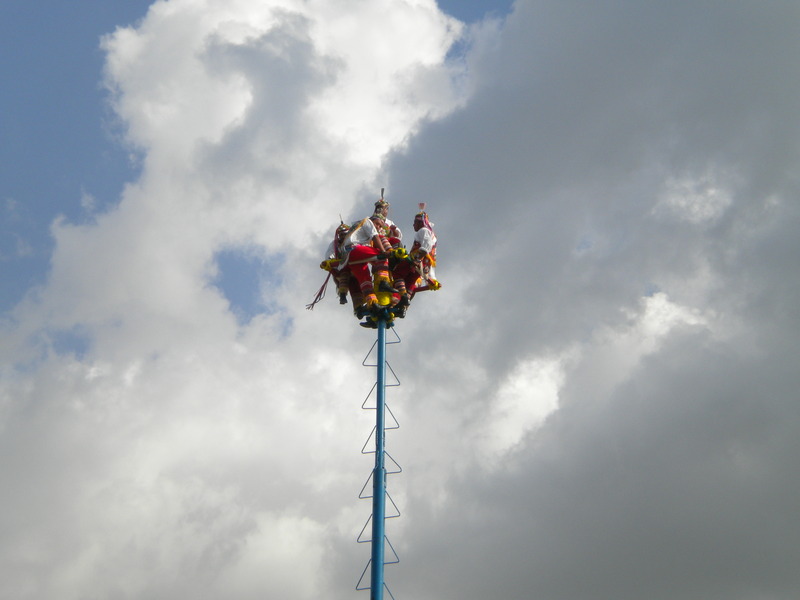 We got to see la Danza de los Voladores de Papantla or the Dance of the Flyers. It is said the ceremony was created to ask the gods for an end to a severe drought. The ritual consists of 4 to 5 men who climb up a pole, the fifth stays on top, playing a flute and a drum while the others launched to the ground tied with ropes. 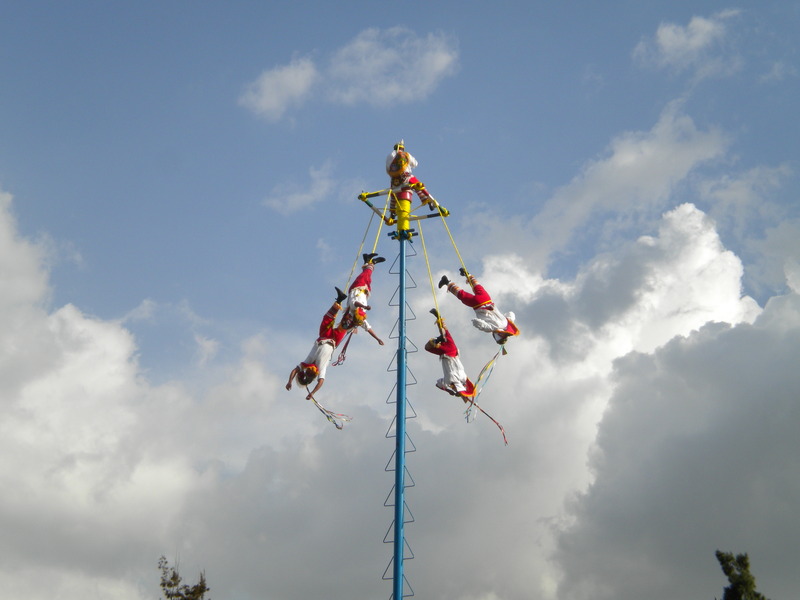 An spectacular ritual associated with the town of Papantla, Veracruz. Enjoy! It’s a must see! You might be freaked out by the dozens of dolls’ heads and bodies stuck on sticks, but there’s a unique story behind it. 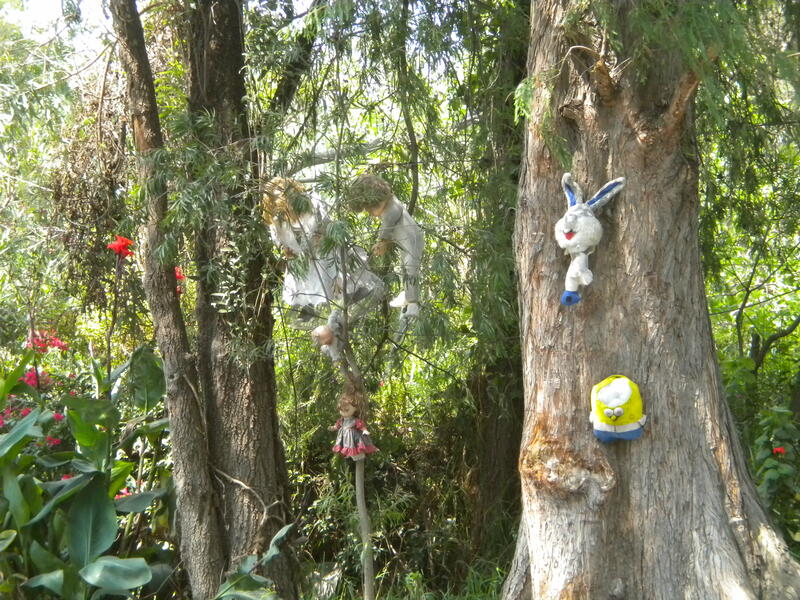 The legend says Julián Santana Barrera started collecting dolls from trash in the surrounding areas back in the 1950s, and later used them to keep bad spirits away and have better crops on his island. He once said the dolls suddenly started to appear near his home, and that they kept him company at night. 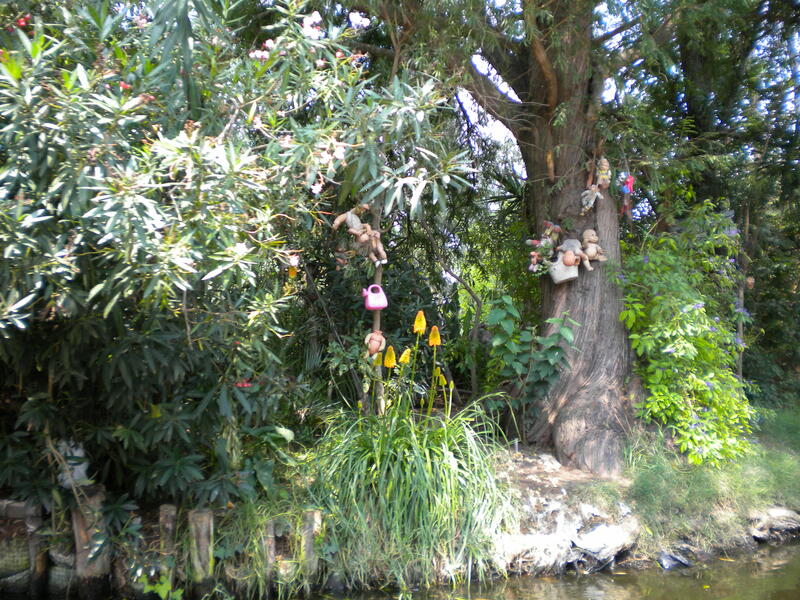 There are also rumors that a little girl drowned in the island and that Julián hanged the dolls to keep her spirit happy. Judge for yourself. Creepy or not?